Antiques are the ultimate in recycling. Today's throw-away world is filled with disposables and other products with very short life expectancies. Such consumption is not sustainable, using more resources and generating more waste than our planet can withstand. Waste reduction is becoming a greater priority for governments, business and individuals. In fact, more large companies are going green and proudly promoting their sustainable business and manufacturing processes. You too are helping to reduce waste and encourage recycling when you invest in antiques. 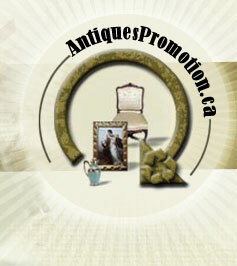 Antiques are used from generation to generation, thus reducing waste and the consumption of raw materials. This is especially true for goods like furniture, frames and pottery that cannot be recycled through typical municipal recycling programs. Although recycling programs are good and necessary, they too use resources and consume energy while helping to make a greener world. Here again antiques are an excellent investment whose minimal ecological impact can now be measured. A recent English study conducted by carbon-clear.com was commissioned by antiquesaregreen.org and other members of The Antiques Trade. It began with the h ypothesis that a new piece of furniture would last 15 years and an antique piece would be resold every 30 years. Based on this pattern of consumption, the study concluded that the ecological impact of antique furniture is nearly 6 times less than new furniture. This was determined by measuring the carbon footprint of each piece of furniture over time. Over the course of 15 years, the antique furniture produced an average of 57kg of CO2 for transportation and restoration. Compare this to 340kg of CO2 for new furniture and the proof is conclusive... Antiques are Recycling at its Best!